Brazoria County Criminal Defense Attorneys James Sullivan and Associates have practiced criminal defense law for 55 collective years and have represented over 4,000 clients. They defend people charged with all types of criminal cases, ranging from misdemeanor assault to felony aggravated robbery. They get results. They recommend trial by jury in most cases to get the best result possible. As John Henry Wigmore wrote in 1929, "the jury... adjusts the general rule of law to the justice to the particular case", ie. the jury can bring justice in a case where the law itself does not allow it. A jury nullification in a trial occurs when a jury reaches a verdict contrary to the judge's instructions as to the law. This is just one of several reasons a trial by jury in criminal cases is preferred. 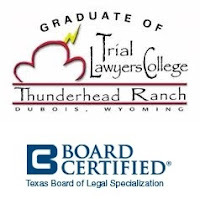 Attorney James Sullivan is is Board Certified in Juvenile Law by the Texas Board of Legal Specialization. Juvenile law is different than criminal law). If you want serious representation, you can call Attorney Jim Sullivan at 281-546-6428.